We’re almost compelled to create. Anew. In 2010 I saw a movie that was the antecedent of what was to become Inquiry Pop-up. At a certain point, Bill Cunningham, in his eponymous documentary Bill Cunningham New York, says he has to come back to Paris every six months “to re-educate the eye.” This was but one gem spoken by him—or about him—in the 84 minute biography. The movie left me rapt. Mr. Cunningham’s pluck, outlook and prolific career was most enviable. It was then when I first realized something critical was missing from my practice. Something Bill had. What exactly that was, was unclear. But immediately, intuitively, I booked a flight to Paris. What amazed me, is he and I, and all my team, and all the rest of the [fashion] world are sitting at the same fashion show—but he sees something on the runway that completely missed all of us. And in six months time, you know, THAT will be a trend. A-ha! Bill’s eye was clear to see the future. Clear to create the future. More than the most revered, and trusted in the industry. I, too, wanted to do my best work and feel most fully myself. To be on the vanguard. A dedication to refreshing the eye became an important part of my practice. Privileging creating opportunities for intake over output would keep me excited, and relevant, and in service to my ideals—and my clients’. Oh, [blah-blah] needs to come here. I envisioned gatherings of friends to facilitate fertile “intake” time. For us to refresh the eye together. We’d engage in new skills, new relationships, and a revitalized understanding of the world around us. Inquiry Pop-up also invites Guests of Honor to help stake claim in our location. They create down-to-earth, simple, inspired presentations to fuel our experience—every day, and cumulatively. This way we can leave behind preconceived notions, and create new pathways of thinking and seeing. 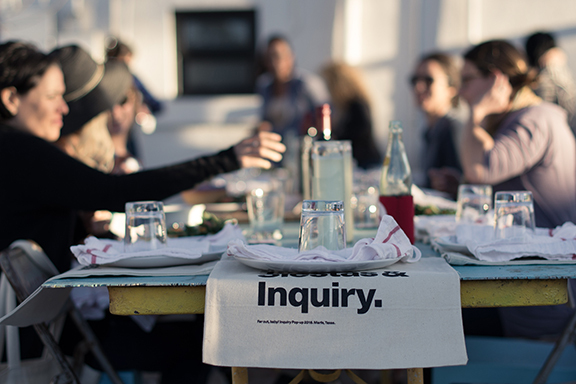 Today, Inquiry Pop-up consists of global gatherings held in remote and awe-inspiring locations worldwide. 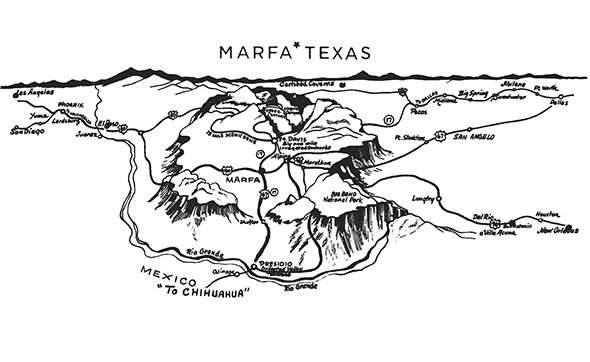 Marfa, Texas acted as muse for the first two years. Then the California desert. We took it international this year, to Marrakech. And sailing in Greece is on deck for 2019. I have my sites on Fogo Island in the future. 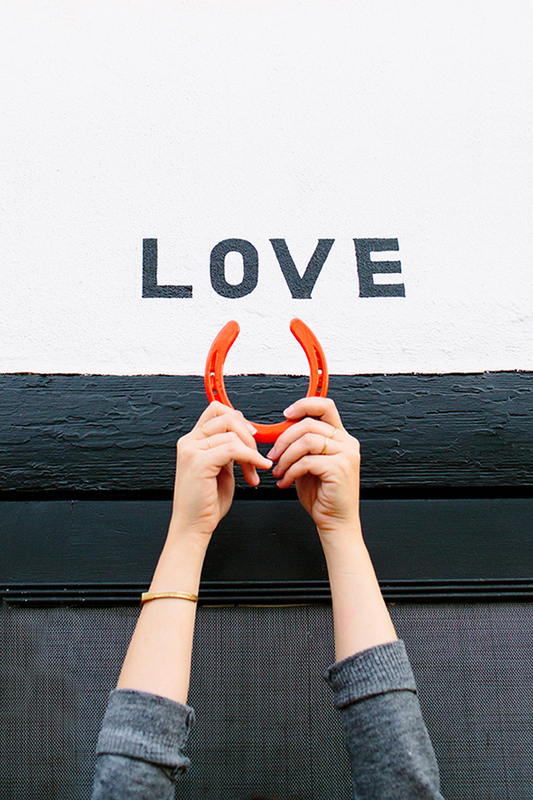 Photos of the good vibes from Pop-up in Pioneertown can be found here. And go here to see a gallery of both Pop-ups in Marfa. Also #inquirypopup on Instagram is a good place to peep. Photos, with permission, by: Wynn Myers, and Jasen Bowes. Illustration, with fingers crossed, from my El Cosmico bandana. OH! And If you haven’t seen Bill Cunningham New York, go go go. It’s currently streaming on Netflix.